There’s no overstating the fact that your vehicle’s brakes are the most important safety feature. As such, they require regular inspections from a trained professional. 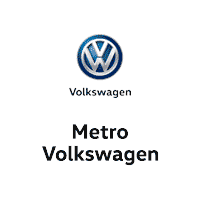 At the Metro VW Service Center, our team of factory-trained technicians provides top-quality brake service for drivers throughout Irving, Dallas, Grapevine, and Grand Prairie, TX. Part of that service is offering resources to help you make the best decision on your vehicle’s maintenance needs. To learn some of the key warning signs that you need new brakes, continue reading our useful guide before scheduling a service appointment! 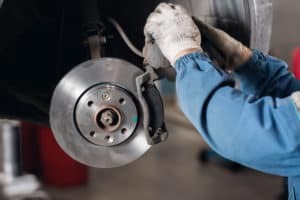 While your driving habits and local road conditions play a big role in the health and lifespan of your brakes, a good rule of thumb to follow is to fully replace your vehicle’s brake pads every 40,000 to 60,000 miles. The easiest way to make sure that your brakes are in good working condition is to have them inspected each time you schedule an oil change or tire rotation. Your service technician will be able to provide an estimate on what needs to be replaced and when, making it easier for you to plan and budget. It’s important to note that ignoring this routine maintenance puts you and your passengers at greater risk of a costly breakdown or accident, as worn or damaged brakes lack the stopping power needed in an emergency. Squealing or grinding: If while traveling down the road you notice any strange noises when you press down on the brake pedal, it could be a sign that your brake pads are either close to or have fully worn down. Vibrating pedal: Warped rotors are the main cause of a vibrating pedal. This happens most noticeably while traveling at highway speeds, but it can occur when in stop-and-go traffic as well. Fading: If your brake pedal lacks resistance, or you find yourself pressing the pedal to the floor every time you need to stop, a lack of brake fluid is the most common culprit. Burning scent: A sharp, metallic smell after a long drive is a clear warning sign that your brakes are overheating and need to be serviced. You should try your best to avoid driving long distances until this issue is resolved. If you notice any of the signs we’ve mentioned above, don’t ignore it—stop into Metro VW’s state-of-the-art service center, where our team can quickly diagnose any issue and have you back on the roads of Irving, Dallas, Grapevine, and Grand Prairie in no time. Simply visit us during service hours or go online to schedule a service appointment today!